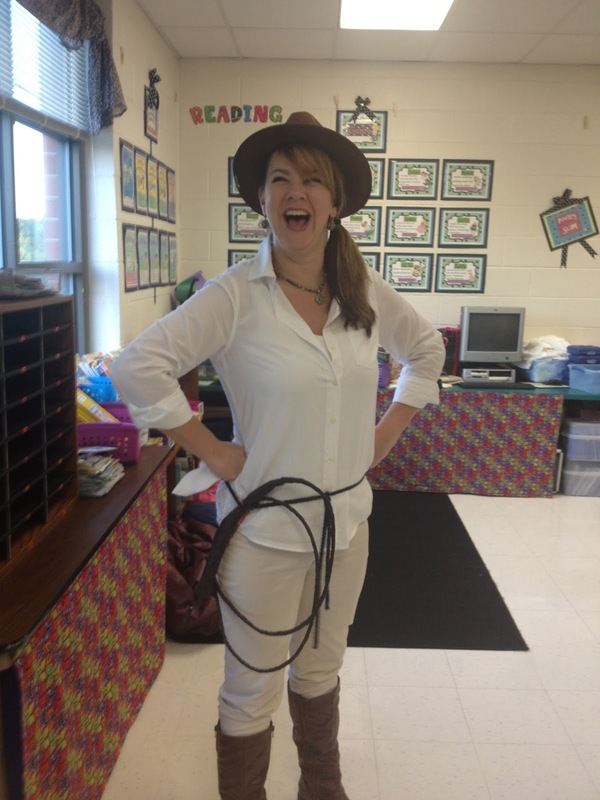 Before I tell you about this motivating project, I have to tell you about the amazing woman who planned this activity for our fourth graders. Yes, our one and only Erin Few! She loves to dress up and got the perfect outfit for the dig! Here she is! Cute, huh? Love it!!!!!! I am trying to get her to start blogging too! Here are the directions and some pictures! 1.Decide on how many groups. 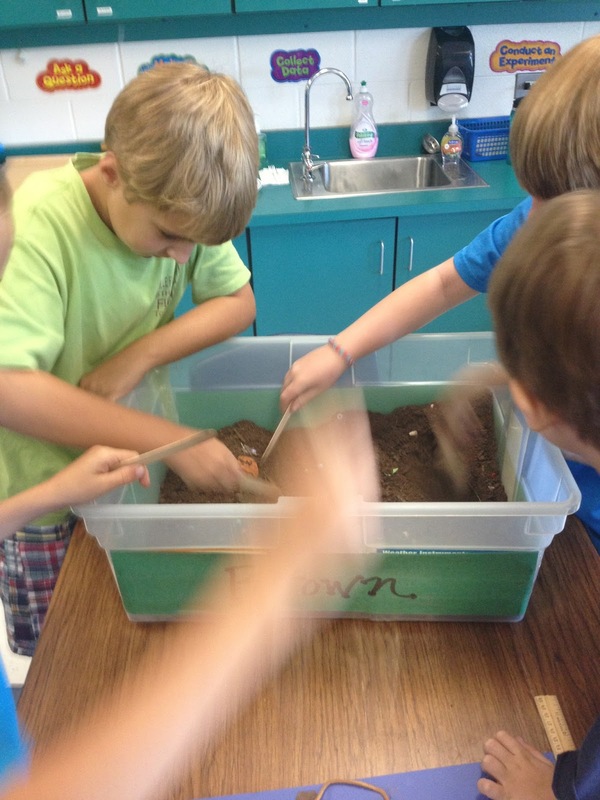 2.Get enough bins and soil for your groups. 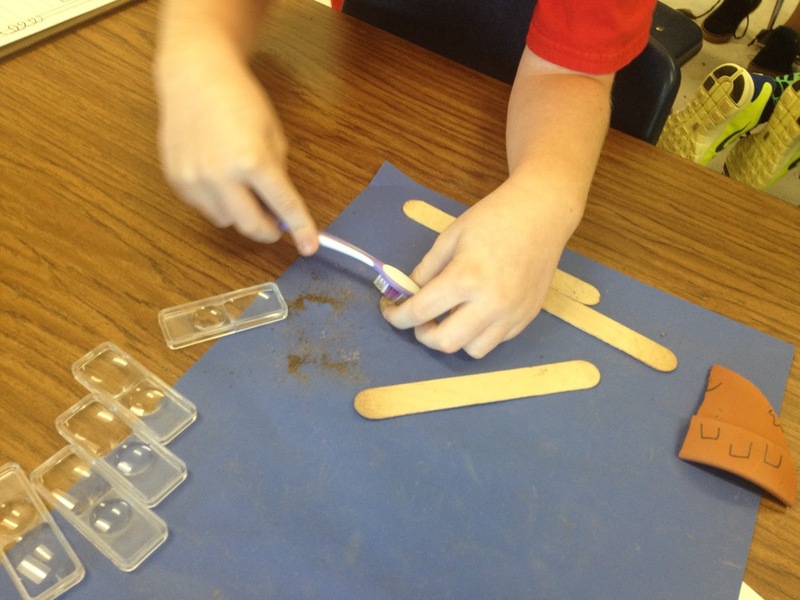 4.Place the tools on construction paper. 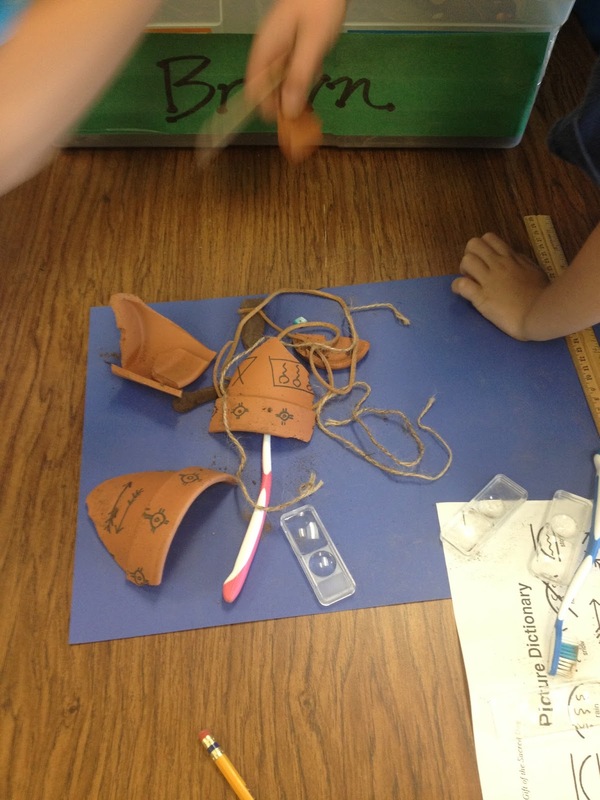 Tell students that they will be archaeologists for the day! Then explain your rules for conduct, management, and clean up. 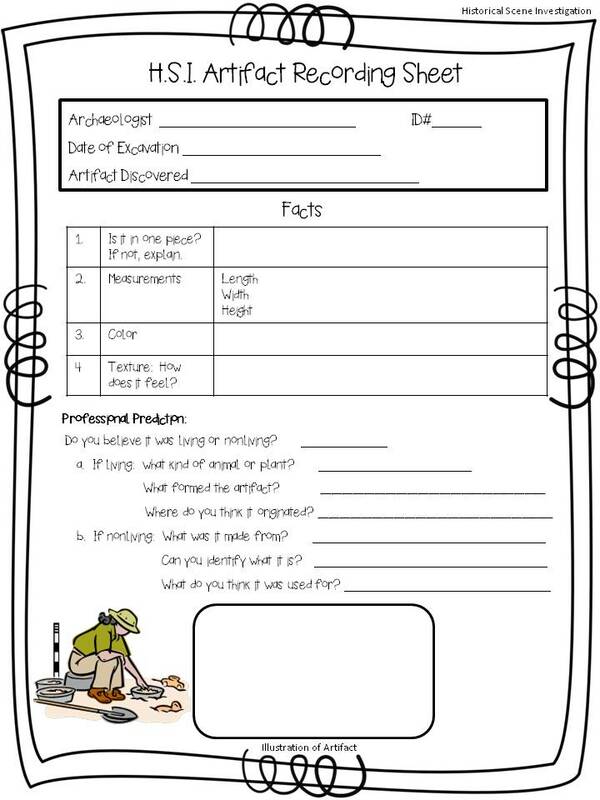 Give your students enough time to excavate! 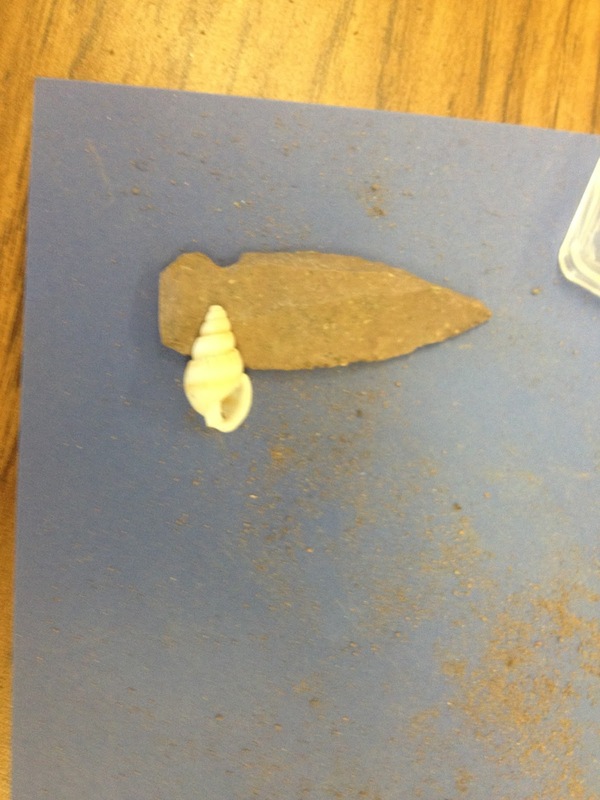 We had our classes dig for 20 minutes and then fill out the form. It seemed to be a good amount of time. 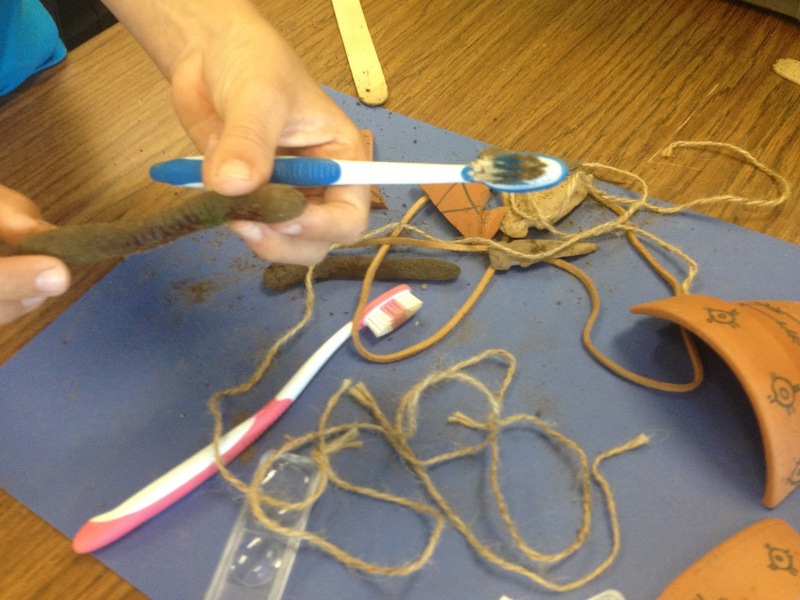 While digging, tell them to brush off the dirt to examine the items. 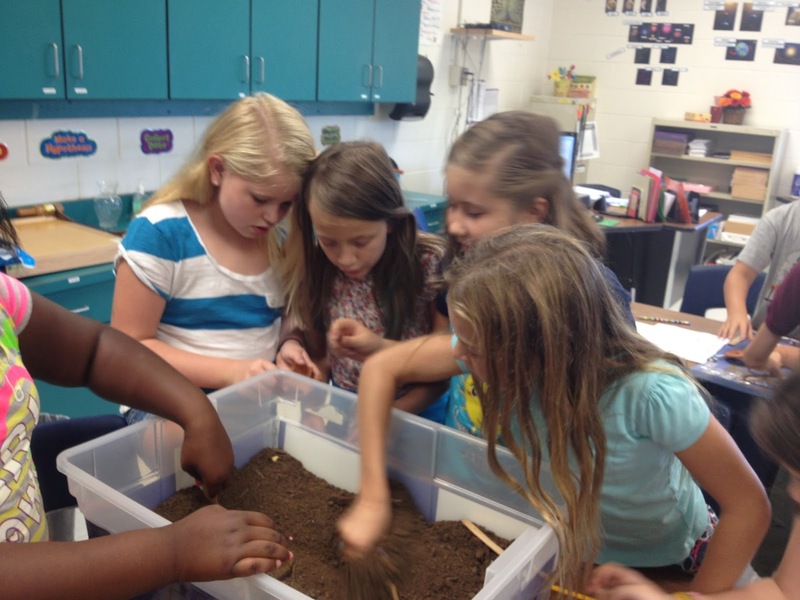 Explain that they will need to choose one item after the dig to examine and record. 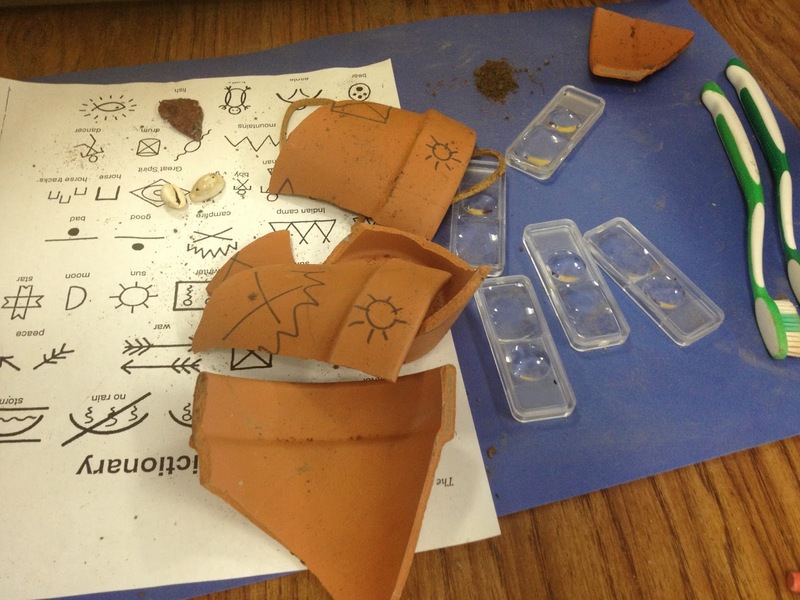 While digging, they will come across pieces of a broken pot. 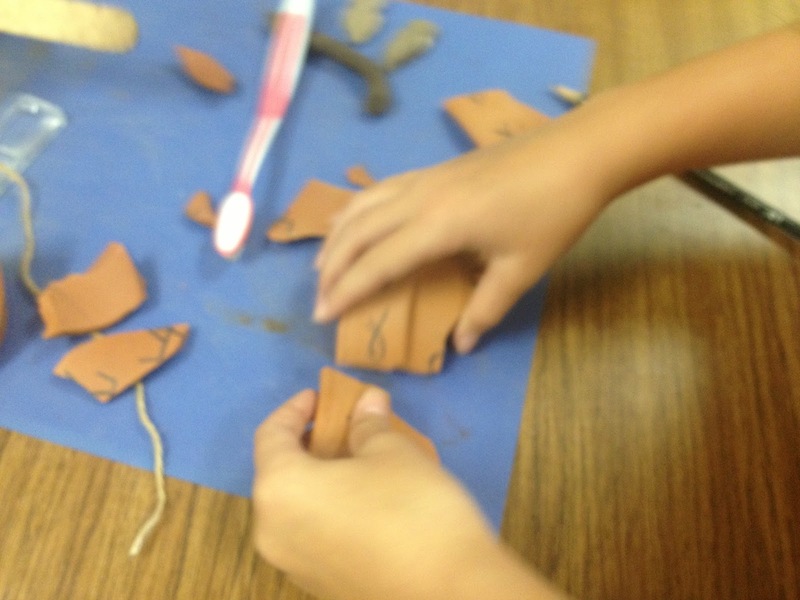 They can try to put them back together just like a real archaeologists!